The Associate Reformed Presbyterian Church developed from the Church of Scotland. In 1733, the Associate Presbytery (a presbytery consists of five or more churches in a geographical area) was organized in Scotland to assure a more Protestant and democratic church. Ten years later, the Reformed Presbytery was organized by other Scots called Covenanters, so named for their support of the Scottish National Covenant of 1638, which asserted that Christ, not the national monarch, was head of the Church. These movements were part of the Protestant Reformation sweeping Europe. Members of the two branches entered America in the middle 1700’s and in 1782 merged to form the Associate Reformed Presbyterian Church, one of the oldest continuing Presbyterian Church bodies in the United States. Distance and travel limitations in the early 1800’s led to separation of the northern and southern branches of the church, the northern branch having since merged with other Presbyterian bodies. 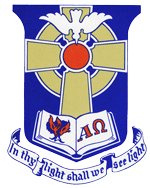 The present Associate Reformed Presbyterian Church, although no longer geographically limited to the southern U.S., is the continuation of the southern branch. Today there are more than 280 churches ranging from Canada to Florida to California.